What is DCP? DCP is an abbreviation for “Digitally Controlled Presser Foot.” The machine can embroider on very thin to thick material or seamed sections without fluttering. DCP keeps embroidery quality high while reducing broken needles, thread breakage, skip stitching, etc. 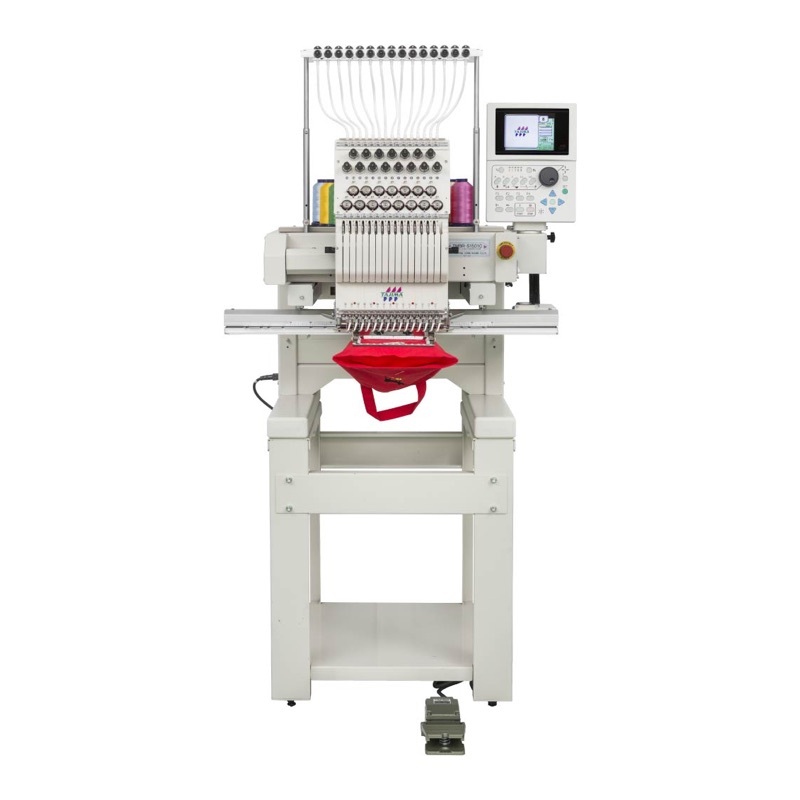 The Tajima TMBR Series can easily receive embroidery data by connecting the embroidery software to a network. Autograph and DL/ML are recommended as this software simplifies the process of personalization and allows for the smoothest design data generation and tramission to the machine. Fine Stitch (FS) is a special mode that provides stability and creates a high quality of embroidery that makes it easy to sew with hard-to-embroider threads. bFS Mode improves the quality of embroidery created with thick thread or soft-twisted thread like metallic and heavier yarns that are difficult to use with the normal machine settings. As a standard part of the TMB machine firmware, FS mode can be turned on with an easy settings change. Height of the presser foot depth and stroke can be set to the material thickness on the operation panel. The fabric does not flutter or move even on hard-to-embroider materials like leather, thick fabric, stretchy fabric and quilting.